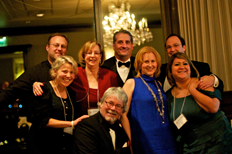 For a calendar of local ACS events, click here! A night of fine wines, superb dining, and unique auction items all in an effort to support Camp Goodtimes, an American Cancer Society program for children with cancer. 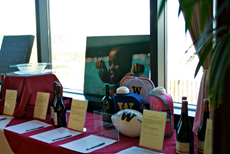 The Camp Goodtimes Wine Auction is in its tenth year and has contributed more than $1.35 million to Camp Goodtimes West. Camp Goodtimes West is a one-of-a-kind experience for pediatric cancer patients, survivors, and their siblings ages 7-17. It is one carefree week where cancer is forgotten and laughter is shared. And thanks to the supporters from this event, Camp is offered at no cost to the children's families. In 2012, Camp Goodtimes West welcomed 235 campers. 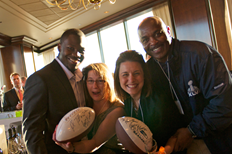 With the help of our sponsors, attendees, volunteers, and YOU, we hope to raise enough money to help even more deserving children in 2013. 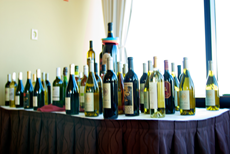 You can support Camp Goodtimes by attending, donating to, or sponsoring the 10th Annual Camp Goodtimes Wine Auction. All information can be found on the links to the left. We will be updating the website regularly as we approach the event, so make sure to visit us often!